So I shot this little Promo Video of the Guigui Easymix boats just after Worlds before I left Plattling. Guigui Prod a french company http://guigui-prod.com/ were the first company to really put out quality playboats in Carbon, I tried one for the first time in 2008 and ordered one the same day. The boats are simply the best, their well built, tough and very light, I don’t take care of mine at all and they just keep going. I primarily use the 2008 Easymix as its a great all rounder and is what i’m used too, but I also have the 2010 L Easymix which I haven’t paddled that much yet but on the small wave I tried it, it flew! Check out the video below to see how they perform, or if you see me out feel free to have a go in mine. 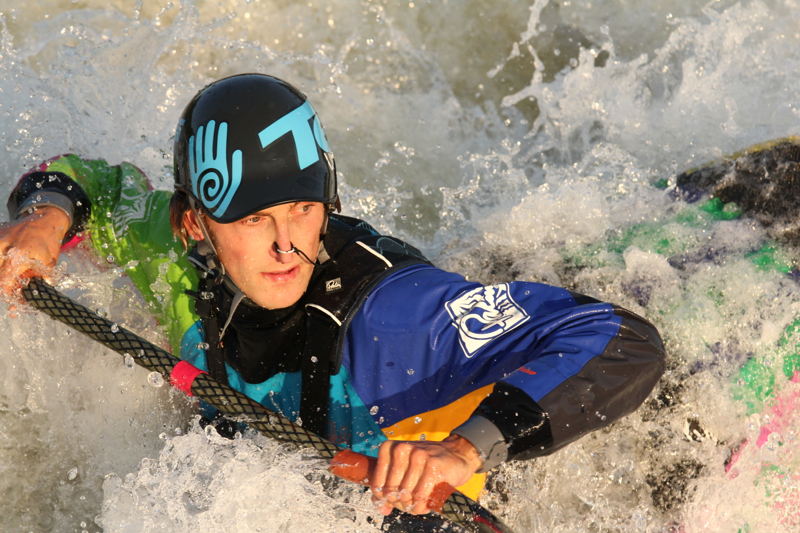 This entry was posted in Whitewater and tagged 2008, 2010, easymix, guigui prod, james bebbington, plattling, world champion. Bookmark the permalink.